Now listen you lot, I know that many of you are keen to see wildflowers and lots of them, so all I can do is invite you to visit the gardens to walk up to the Arboretum to see the sheets of cowslips which are looking truly splendid at the moment. 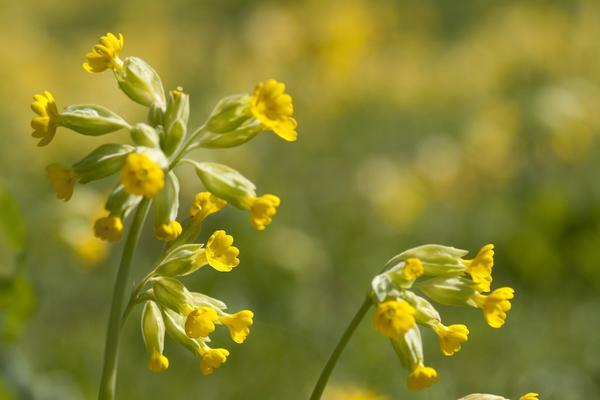 Every spring month has a floristic emblem which captures the imagination and delights the heart and this month it's the turn of cowslips so please come and have a look as I know you'll be absolutely bowled over by them. The last decent rain at West Dean of over 25mm fell on 26 February making a total of 79.8mm for that particular month. Measly March delivered only 55.1mm and April might come in at under the 5.3 mm recorded in April 2011 as only 3.6mm have fallen so far this month. It's dry and we're already watering newly planted material so don your rain dance outfits and get dancing - we need all the help we can get! Saying that though the weather has been sublime for garden visiting, a lot of the blossom has stayed in place for longer than usual and the wild flower swards are letting rip. 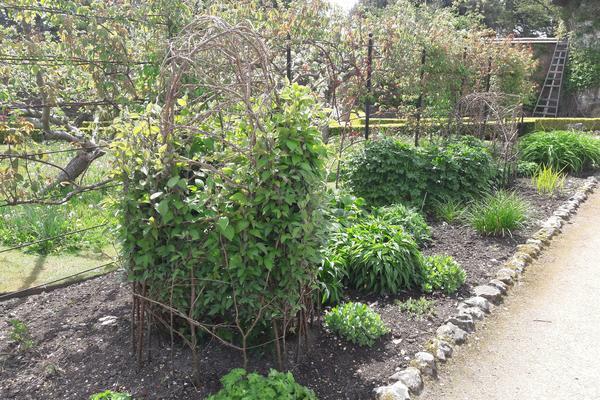 Anne, the border queen, is currently juggling the following: staking through the borders - those hazel structures are her handiwork, tying in wayward climbers especially those that require regular attention to keep their new growth ascending in the right way and sowing and planting in the cutting garden. It's her extremely busy time of the year as opposed to her busy time which is all the time. Actually, all the gardeners whirl like dervishes in May as spring tasks in the gardens build up exponentially. Thank goodness for our merry band of volunteers who assist us in our work and welcome back Rob from Australia who's here again for another three month stint. It's a joy to have additional assistance at all times but especially nice when it's from my home country. 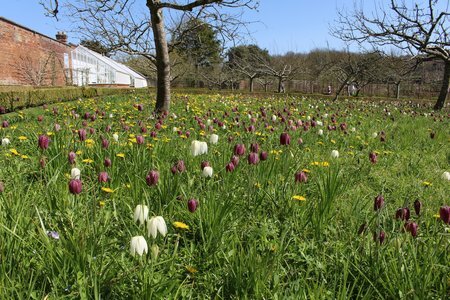 Wherever you walk in the gardens there is plenty to see in May. 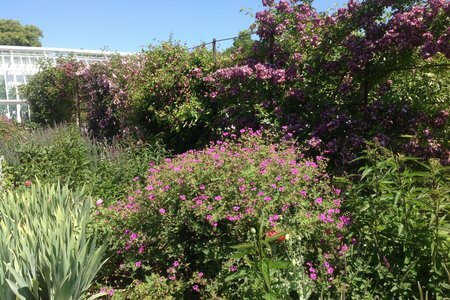 Why not take in the Sunken Garden during this month and look out for the first flowers on the climbers on the pergola which will be unfolding too. 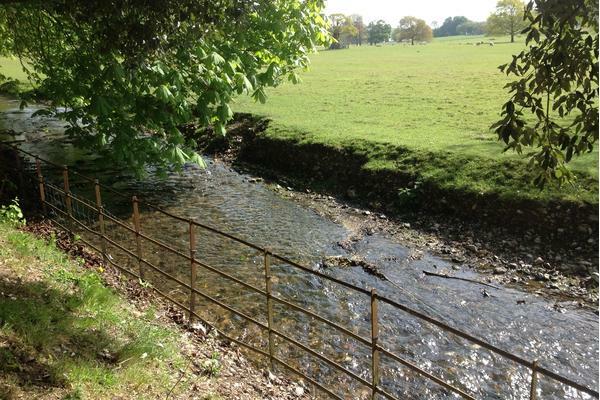 If you want to see water in the River Lavant it might be wise to visit shortly as who knows how long it will keep running in this dry (so far) year. 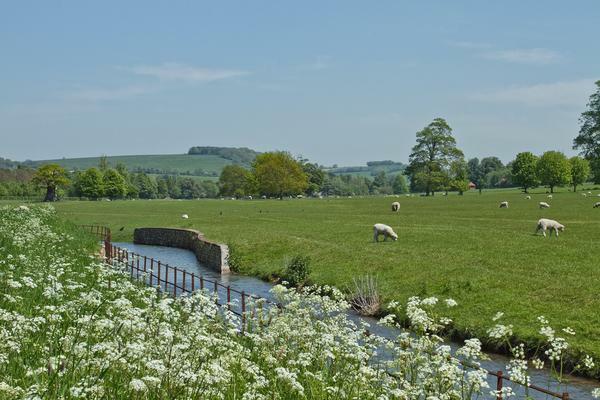 And make sure you walk to the very end of the gardens for spectacular views up the Lavant Valley towards the Weald and Downland Museum, there are seats dotted throughout the gardens for a quiet rest. We are gearing up for the start of the 2017 glasshouse restoration programme which includes additional exterior painting for maintaining recently renovated houses. Over the season you'll see scaffolding either erected within a glasshouse, should that particular house be getting a complete overhaul, or outside, if the house is getting a new lick of paint. 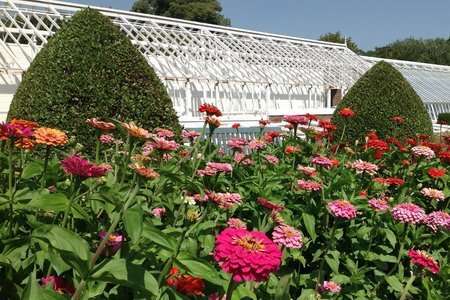 Slowly but surely and with your help, we are giving our glasshouses a new lease of life to carry them into the future. Would you be insulted if I asked you to pop a pound coin into the glasshouse restoration box as you come into the Visitor Centre? If everyone did this we would have enough dosh to complete the next large glasshouse on the agenda which is the tomato house - a big three-quarter span house in the cutting garden. 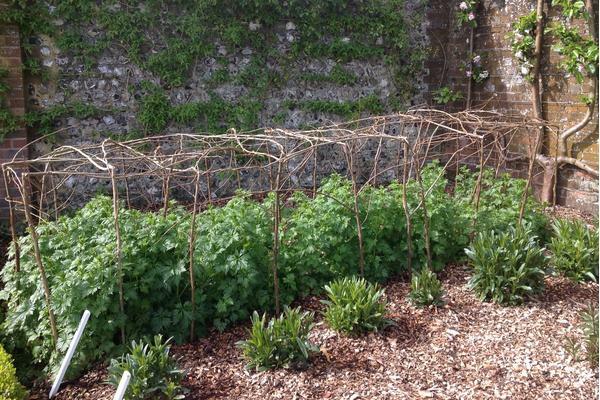 Young salad leaves and herbs from the gardens are used by the gardens restaurant on a regular basis and this year we are promoting specific crops. In May it's the turn of Chard - 5 May, Herbs -10 May and Spinach - 25 May. If you are tempted to try out the restaurant team's delicious menus using these particular crops, make a note in your diary and come along to enjoy the feast. Also make a date for the West Dean Arts and Craft Festival 2-4 June.